At Cross City Dental, we provide basic dental services plus a few specialty ones you often can’t find at other practices. We rarely have to refer you to an outside specialist because we can handle almost everything right here! 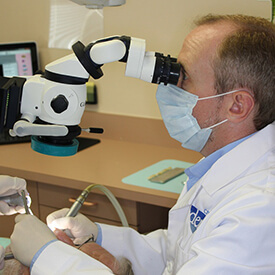 Dr. Elliott Novikov has 15 years of experience practicing all facets of dentistry and has spent years receiving additional training in order to provide more advanced dental solutions. Want to fill in some of the gaps in your smile? We can provide complete dental implant care. Sick and tired of your uncomfortable and unreliable dentures? Dental implants can give you a denture that looks and feels much better than a traditional removable one. Nervous about visiting the dentist? 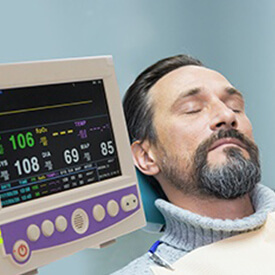 With our exclusive IV sedation treatment, we can help you practically sleep through your appointments. Need your basic checkup and cleaning? We have you covered. When it comes to your smile, you can rely on Cross City Dental to have exactly what you need. Technology is a very important part of our practice, because with the latest tools at our disposal, we can provide you with even faster, safer, and more precise care. 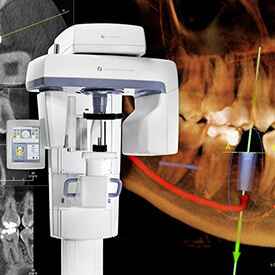 With our powerful CT scanner, we can perfectly plan your dental implant procedure. And, using digital x-rays, intraoral cameras, and a dental microscope, we can diagnose and treat you better. Dr. Novikov has spent years studying the science and art of implant dentistry so he can help you rebuild your smile to last a lifetime. He is currently a member of the American Academy of Implant Dentistry (AAID) and a Fellow of the International Congress of Oral Implantologists (ICOI). Thanks to his dedication in this field, he’s able to provide comprehensive implant care from one convenient location. If you are the kind of person who has avoided going to the dentist for years because of fear, then IV sedation can help. This safe and effective technique is powerful, fast acting, and will help you practically sleep through your dental appointments. It can be used with a wide range of treatments, so no matter what your smile needs, we can ensure that you’ll have a comfortable experience. We put your needs first. 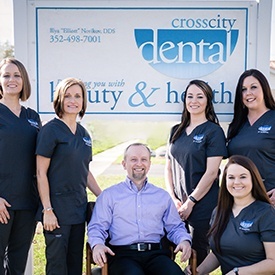 Everyone at Cross City Dental is extensively trained in the latest dental techniques, and we only use the highest-quality materials for all our treatments. When you combine this with our meticulous attention to detail and warm, friendly atmosphere, you receive an overall excellent dental experience. We understand that dentistry can be expensive and we will do our best to help. We’ll work with your insurance, and we’ll do everything we can to get the absolute most out of your benefits. 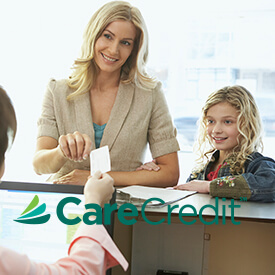 Plus, we can even help you get flexible, low to no interest financing to help break up the cost of your care. All in all, we will always work with you to make sure your dental care fits into your budget.